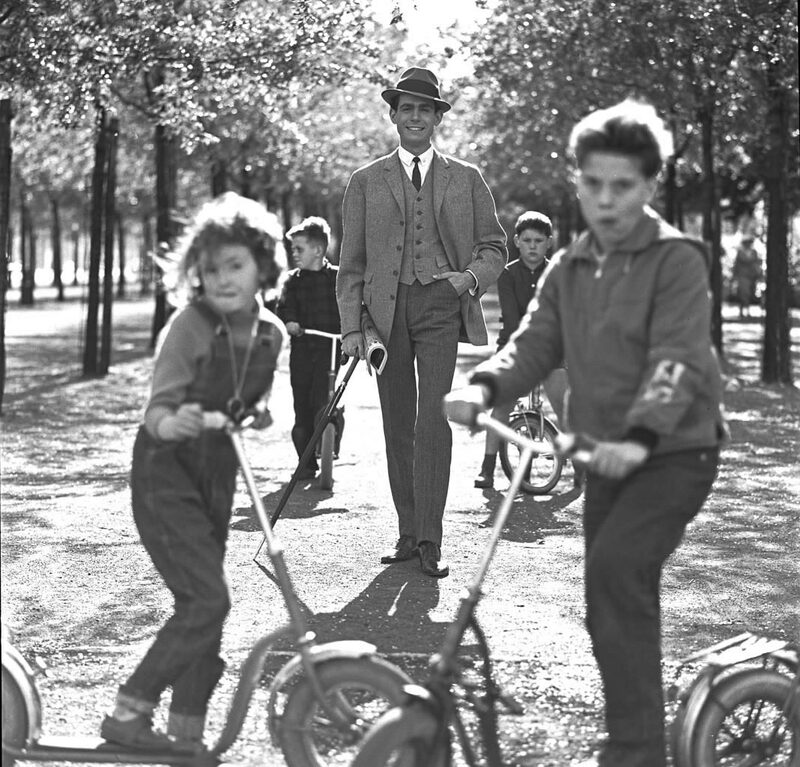 We were shooting in the park near the Charlottenburg Castle/Schloss in West Berlin, when these kids showed up playing. They were happy to pose with Jurgen, and I was able to keep their attention for one 12 shot roll of medium format film. Then they were off. The first shot already posted of this roll of photos was/is probably the best. But it is a testament to the accuracy of the Messraster focusing device, that all shots are technically usable and I am able to post many of the others. And I will do just that, now that I have the time to enjoy them.